White beach, green waters into blue, and quite!! I was there on a trip with my college friends. We were nine girls, hanging out after the last and final comprehension test and finally having the titles behind our name, SE (or bachelor of economis). We hire a travel agent from malang so that we can plan our trip savely and neaty. 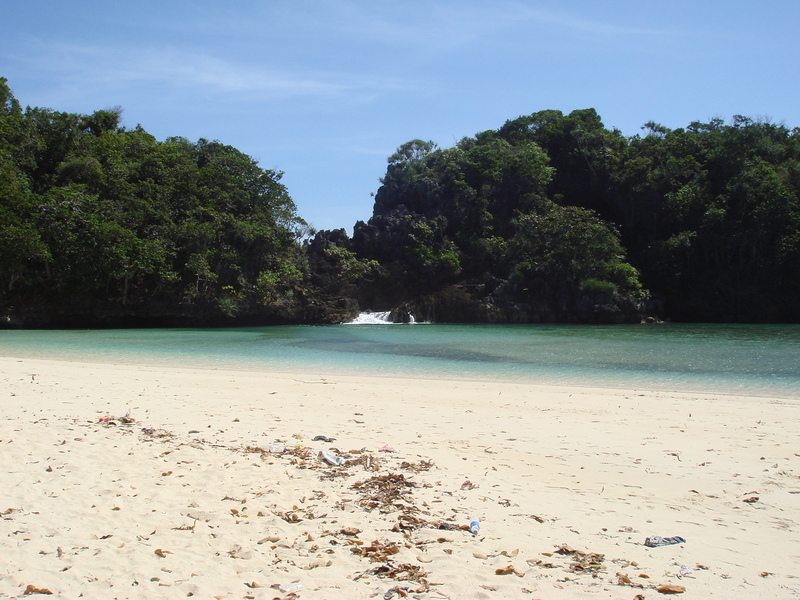 In sempu island specifically in Segara Anakan, which is still quite, calm, and pure, u really will enjoy how pretty our earth is. The sands are white, and clean..and the water, its salty of course, but its like been separated by a giant rock from what we called south hindia ocean. u will be able to hear the sounds of wave, catching up, running, playing each others out there, while actually enjoying the calmness of the beach. The laguna is not so deep so for u who can not swim well, dont worry, it all save. You can also cross the laguna when the water is in its lowest debit. however, if you are a good swimmer, no worry at all..The water really is clear. You can see through the surface into the ground. And its all blue and green and mostly prefect! Well, during this trip, we actually visited Mount Bromo first. Early in the morning we should get ready to drive our jeep to Pananjakan. 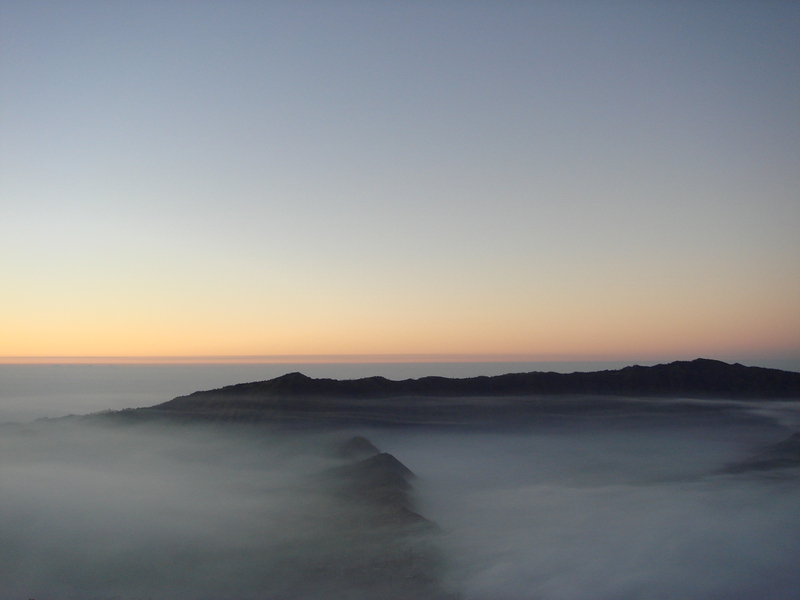 The place where we can see a full sunrise (if its not cloudy) with a beautiful Mount Bromo as the background. The white mist, the sun that sneaking up from the east, and also what we called a perfect gradation from night to day, with some stars seen around, and also the moon, well, nothing can compared it more evenly. Its so cold up there, but no need to worry since we could rent some jackets or sweater, and also the gloves, or socks, its all available. some shops even provide hot drinks for warming up our body. its not expensive though. 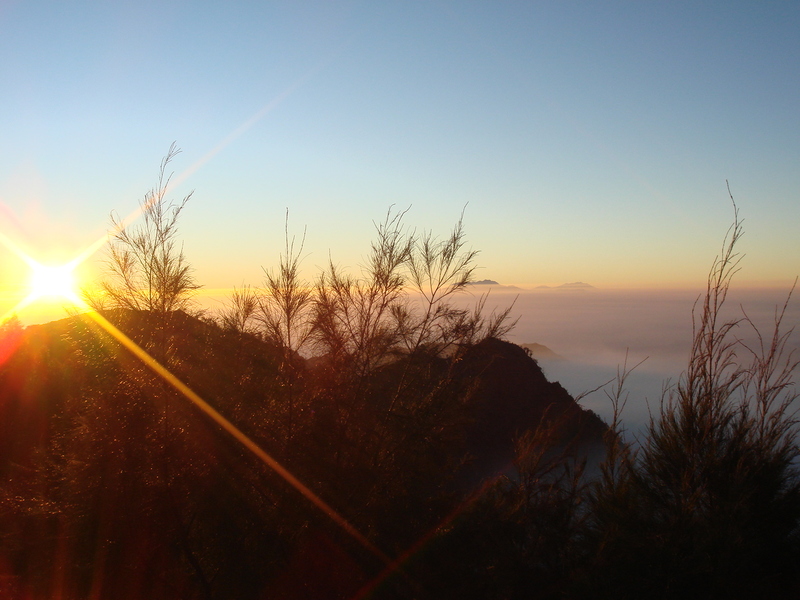 When the sun already shown, then its time to drive our car to the main venue of this visit, Mount Bromo. We can see the Bormo crater from above, quite short distance but we cant really go to the nearest point because it desulpher. Anyway, to reach the crater, there is this dessert (i dont know its name), but you can rent a horse to ride or just go there on foot. Both option have its own good and bad side, but i choose to ride a horse . Around Bromo there are also some other beautiful areas, such as makadipura waterfall, ‘pasir berbisik’ (this one should be like a dessert) and also group of hills named ‘teletubbies hills’.